Disclaimer: Jim Sterling didn't endorse this article. Yet. Free 2 Play gaming has become such a massive trend in the game industry for the past couple of years. Being defined by games such as Company of Heroes Online, All Points Bulletin, and many others. You can play any game without any financial risk but be stopped in your tracks if you don't cough up enough money to allow your level cap to rise and keep enough stat bonuses so that you can sustain your characters. But is it really worth paying $50 for a brand new character or a piece of clothing? I can understand that certain games do not find ways to cap your level at a certain point nor actually add stuff that imbalances the game thus OPing paid weapons. Major publishers/developers are starting to get into the market with a vast majority of those games failing to be able to compete. A prime example would be the debacle that was The Old Republic by our favorite company Electronic Arts whom is a shining example of Free 2 Play gone wrong. That isn't there first incident though of trying to ruin the Free 2 Play market. EA has been pushing Free 2 Play as Ubisoft has been pushing Free 2 Play with the idea being that they'll be able to make a fair profit but the former has been proven to not understand Free 2 Play while the latter hasn't exactly shown any proof that is incompetent. Though we shouldn't give Ubisoft the benefit of the doubt as they don't exactly have a track record that has proven to be clean as a whistle when it comes to consumer relations. Games like Battlefield: Heroes, Play 4 Free, Need For Speed: World, SW: TOR and soon to be Command & Conquer are some of the few games that are examples of bad Free 2 Play. I know i'm specifically naming Electronic Arts games but you have to agree that there happens to exist many problems with their F2P model. The items they charge you for are overpriced and really OPed to the point that you might as well just hand over your wallet because advancement in any single game requires alot of money before you might actually be able to enjoy it as you'll constantly be dealing with paid players using really powerful stuff compared to what a free player has. I'm not directly saying they are the only guilty party but they aren't the most innocent either. Gamers are also guilty for failing to try to stop what failed model has existed on the front and encouraging developers like EA to shortcut the development of games and micro transaction everything and anything in their games. It gives reasons for smaller companies to do the same and not try the best to produce a quality release in order to cash in on a brand. And we keep allowing it. When is it that we will finale give money to people who strive for quality to make money and not money in order to sacrifice quality? Why is it that EA is the best example of the worst in the F2P market? Are they perhaps to blame for our problems? Why is it that we let it continue to persist? 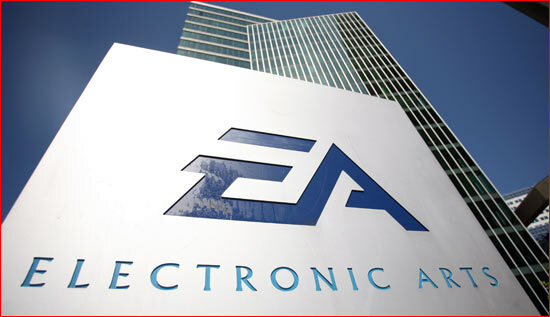 And will the market eventually equalize to a point where EA itself has extended too far and tried too little?